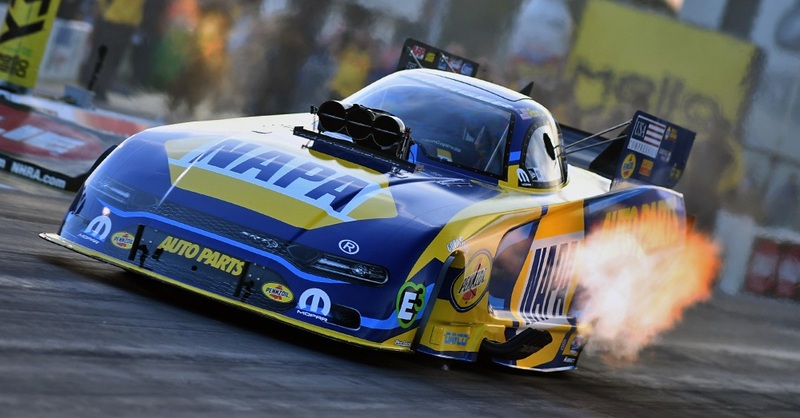 TOPEKA, Kan. (May 19, 2013) – Ron Capps climbed right back into the NHRA Mello Yello Drag Racing Series points chase with a semifinal performance in the NAPA AUTO PARTS Dodge Charger R/T on Sunday in the Kansas Nationals. 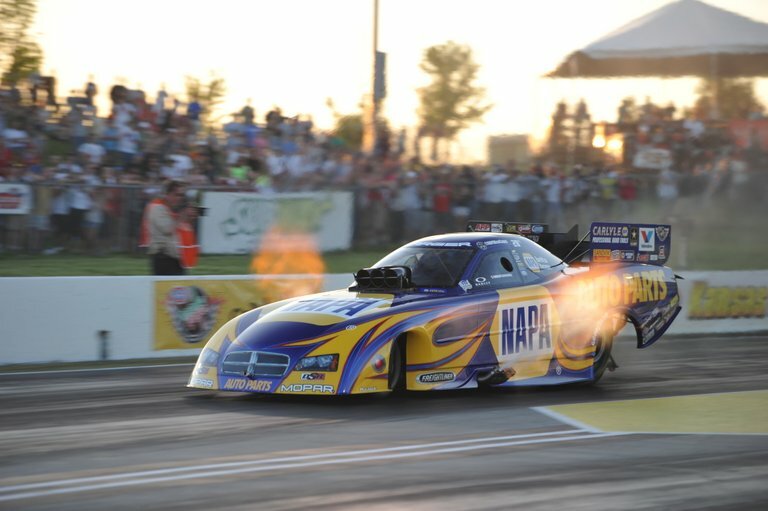 Capps was able to move to within 79 points of new leader Johnny Gray, his Don Schumacher Racing teammate who won the title at Heartland Park Topeka. Gray’s third win of the season. 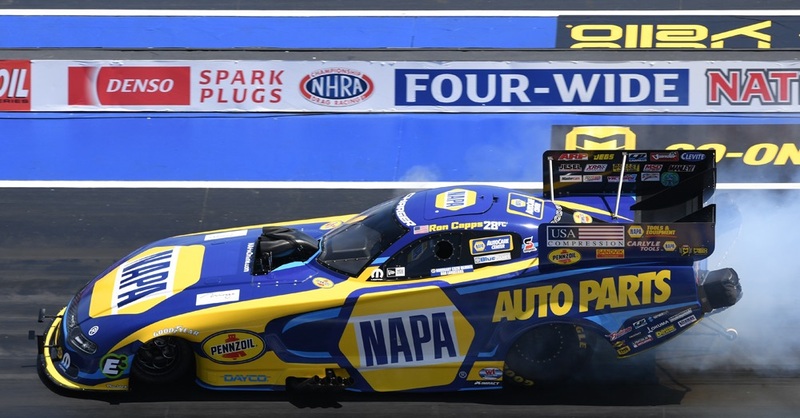 “Points-wise, we climbed back into it a little more,” said Capps, who was helped with first round losses by former points leader Cruz Pedregon and DSR’s Matt Hagan, who was ranked second. 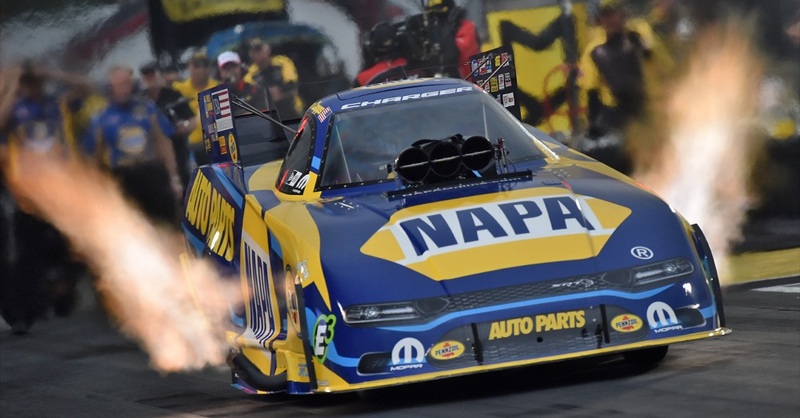 Capps could have gained even more ground but his NAPA AUTO PARTS Dodge Charger R/T ran into a red-hot Robert Hight of John Force Racing in the semis. Capps said crew chief Rahn Tobler expected Hight and crew chief Jimmy Prock to produce a good run against them, and they were right. Hight completed his run against Capps in 4.044 seconds at 311.92 and the NAPA Dodge lost traction and slowed to a 5.933 (122.28). 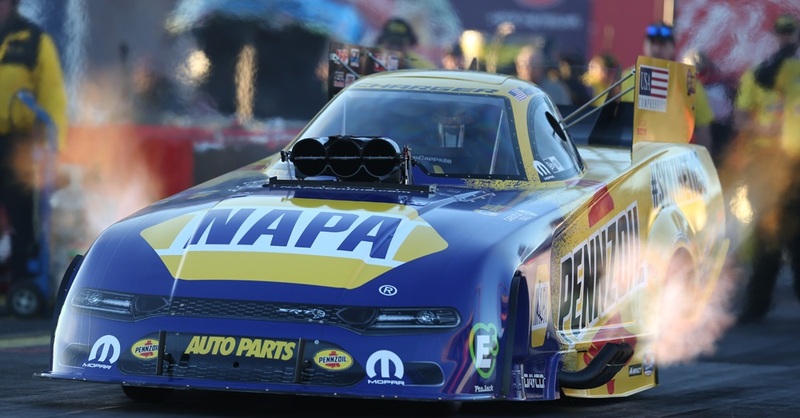 Capps said his NAPA team will head back to DSR Headquarters near Indianapolis and replace the front half of the chassis before the next event at Englishtown, N.J., in two weeks where Capps clocked the quickest run in Funny Car history at 3.964-seconds last year. NEXT EVENT: May 30 – June 2, NHRA Summer Nationals, Englishtown, N.J.